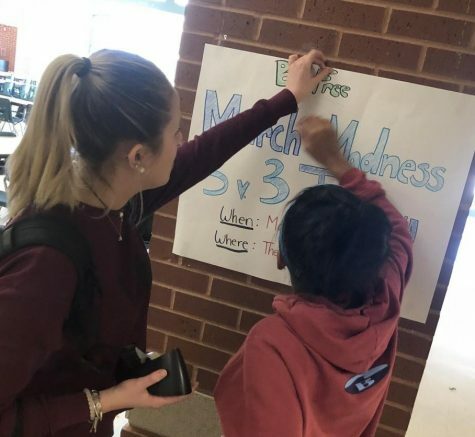 The BeFree club at Hopkinton High School has posters all through the hallways, advertising things like coffee houses and 3 on 3 basketball tournaments. They make announcements to give dates and times of events, and some days they’ll even have a table just outside the cafeteria, where you can sign up for the events, talk to the members of the club, and just hang out. But what does the BeFree club do? And how do they run these programs? The answer falls into the hands of the clubs student members. BeFree is a club unique to Hopkinton High School. Through fun events, such as the ones mentioned above, the club encourages high school students to live alcohol and drug-free. Today, the club’s officers run events like Coffee Houses, which are student musician showcases, and student sports tournaments. 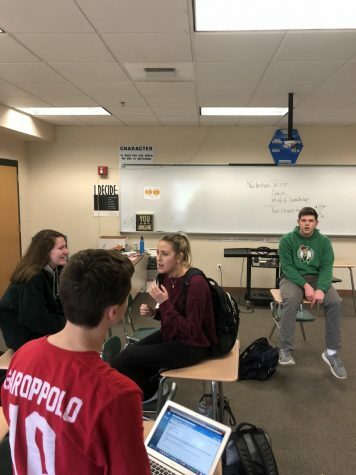 They meet every Tuesday after school in room A218 to discuss plans for future events, make posters, and converse with other members of the club. The planning process starts early, with a calendar of events established at the very beginning of the year. The meetings are full of ideas being tossed around, with every member of the club getting an equal say in the planning of an event. For every event, lots of factors are controlled by the club officers. Club officers discuss the meeting’s agenda. “One of the things that we need to do for each event, especially if it’s musical, is we always check the lyrics and make sure they are school appropriate and fall in line with the mission of the club of substance free. Sports-wise we run brackets to make sure all teams are fair. Like if there’s three varsity basketball players on one team we’re not going to allow that. It defeats the purpose of having fun at the event,” said club officer Timothy Lane. The club puts in a lot of work leading up to the event. 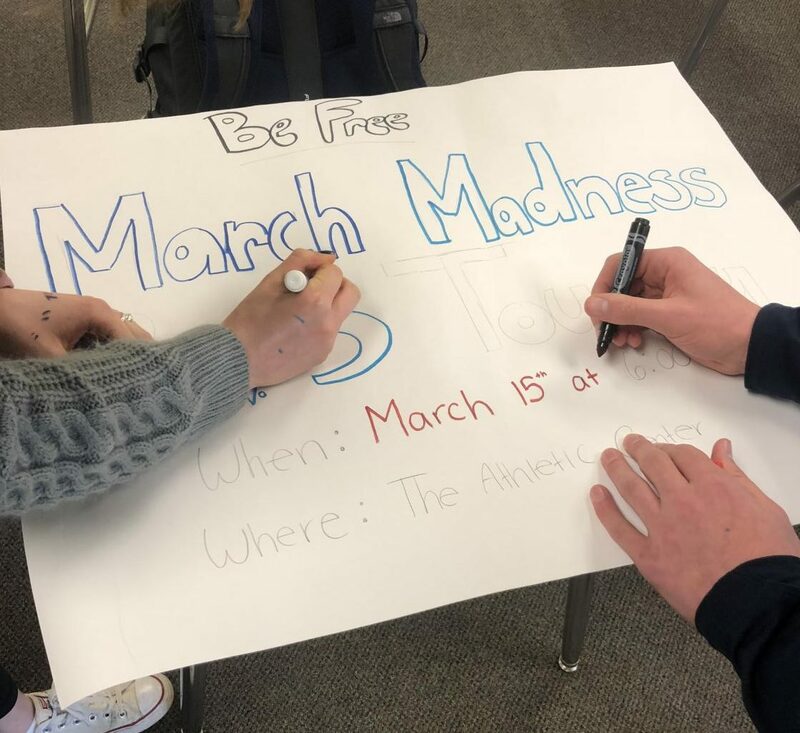 Posters are hand drawn by members at meetings, announcements are planned out and delivered by club officers at the end of the day, summaries are written up for the student memo, and most importantly, lunch sign up volunteers are decided upon. At the events themselves, supplies are gathered from the BeFree closet (a closet specifically for any materials the BeFree club might need), set up is ran by club officers and a slew of volunteers from both inside and outside the club, and the event is overseen by club officials and staff advisors. “We try to step up and be leaders and try to help everyone else plan, and try to step up at events and lead people. You know, set up the music or set up the tournaments for the sports. We have to step up and be leaders and be in charge of the event,” said club officer Justin Normandeau. Club members hang a sign they made at the meeting. Club officers take on a tremendous amount of leadership responsibility both at the events and during meetings, making BeFree a truly student-run club. The club officers, who are mostly juniors, always rise to the occasion at meetings and truly lead the underclassmen. To the members of BeFree, it holds a special place in their hearts. Many of them came to BeFree through older siblings and friends who were heavily involved in the club. “My brother was involved in it when I was a freshman, so I joined. He was a senior, I was a freshman. He was an officer, so I wanted to follow in his steps through the club,” said officer Justin Normandeau. These legacies have made their mark on the club as a whole, and are still encouraging people to come to this day. Through sibling legacies, families and friends of families get involved in the club and help spread its message. “I think it’s like a commitment to stay true to yourself throughout high school,” said freshman Ashley Wojcik, younger sister of club officer Alex Wojcik. Work gets underway for the March Madness tournament. 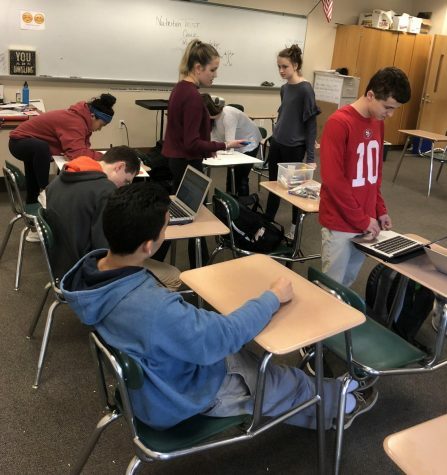 The BeFree club remains one of Hopkinton High School’s most important clubs. Its message, its focus on student leadership, and its impact on the community all help make it an important piece of student-run extracurricular activities. The BeFree club meets Tuesdays after school in room A218 at 2:00. If you are interested in joining the club, you can email a member or just walk into the meeting. They are always welcoming new people.